« Who was the painter of Eighth Avenue? This 1913 photo shows a boy at a public water fountain in Madison Square Park; he’s drinking from a common cup attached to a chain. Of course, no one today would ever drink from the same cup thousands of strangers also put their lips on. But back then, in pre-germ-awareness times, not everyone realized how unsanitary it was. Yet public health experts were beginning to realize that the shared cup was a big disease transfer method and had to be eliminated. 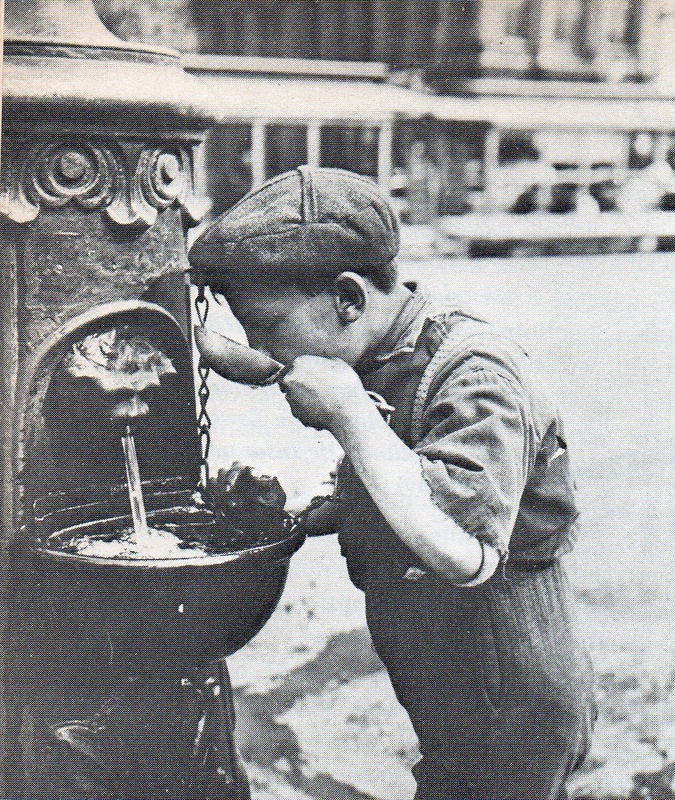 In 1911, city officials announced that they were changing all the school drinking fountains so that a common cup wasn’t required. Communal cups were eventually banned in all public fountains. This entry was posted on September 13, 2008 at 1:05 am and is filed under Flatiron District, Schools. You can follow any responses to this entry through the RSS 2.0 feed. You can leave a response, or trackback from your own site.